Baby-Led Weaning explodes the myth that babies need to be spoon-fed and shows why self-feeding from the start of the weaning process is the healthiest way for your child to develop. With baby-led weaning (BLW, for short), you can skip purees and make the transition to solid food by following your baby's cues. Baby-led weaning became a parenting phenomenon in the U.K. practically overnight, inspiring a fast-growing and now international online community of parents who practice baby-led weaning-with blogs and pictures to prove it! 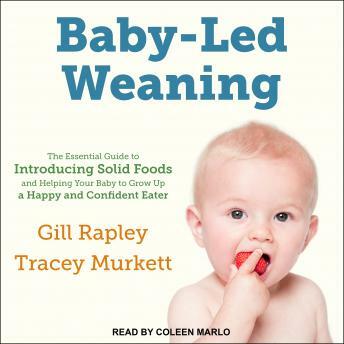 In Baby-Led Weaning, world-leading BLW authority Gill Rapley and early BLW practitioner and coauthor Tracey Murkett deliver everything you need to know about raising healthy, confident eaters.